This evening I made Turkish Style Lamb Chops for dinner. This weekend I picked up some beautiful loin lamb chops from Costco. They are so tender and delicious. If you've never had a loin style lamb chop before, they are like a miniature porterhouse steaks. They are so easy to prepare. I simply mixed the freshly squeezed juice of 2 lemons and about 1/4 cup of olive oil together along with a teaspoonful of Turkish Seasoning I picked up at Penzeys Spices over the weekend. 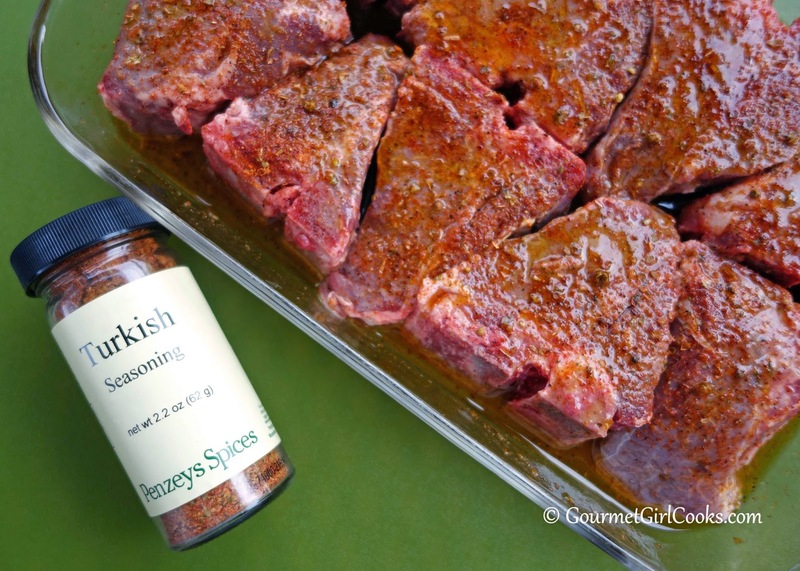 I usually like to give them a Greek flavor with lemon, garlic and rosemary...but this particular Turkish spice blend was amazing and I actually preferred this flavor over the Greek style. 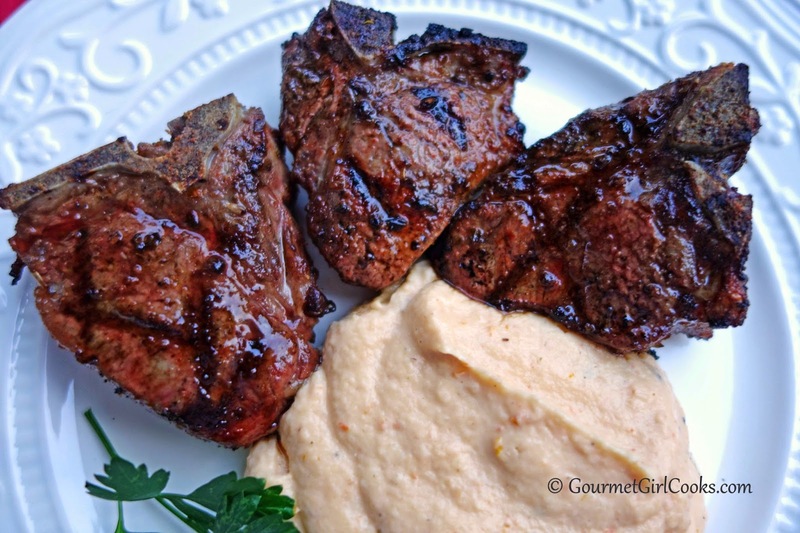 After whisking together the lemon juice, olive oil and seasoning, I seasoned both sides of the lamb chops with additional Turkish Seasoning and then placed them in a shallow glass casserole dish and poured the marinade over the chops. I kept them out at room temperature since I only marinated them for about 30 minutes or so. I turned them over after 15 minutes to allow the other side to sit in the marinade. 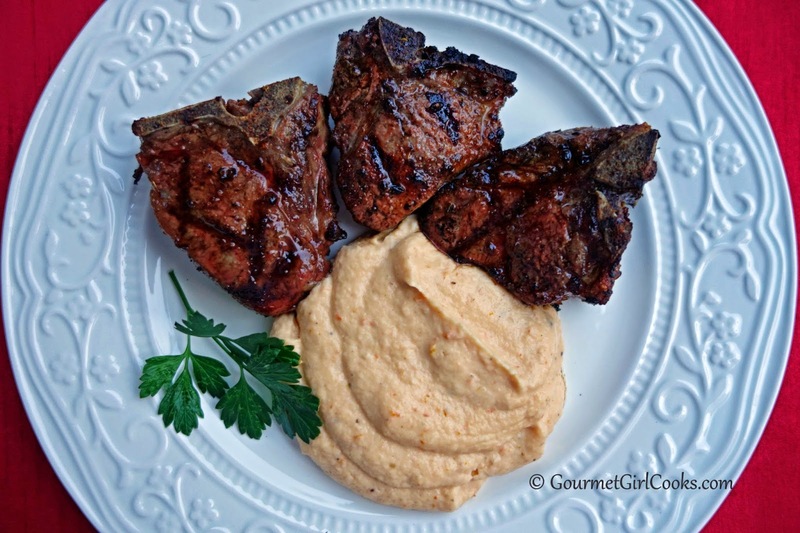 Since these lamb chops are so tender, they don't need to marinate long at all. We grilled them for about 5 minutes per side. To go with our lamb chops, I made my Parmesan Cauliflower Mash but decided to give it a different twist. I added a couple rounded tablespoonfuls of oven roasted tomatoes packed in oil (that I buy at Costco) to the cooked cauliflower along with cream, cream cheese, Parmesan cheese and butter before pureeing it with my stick blender. 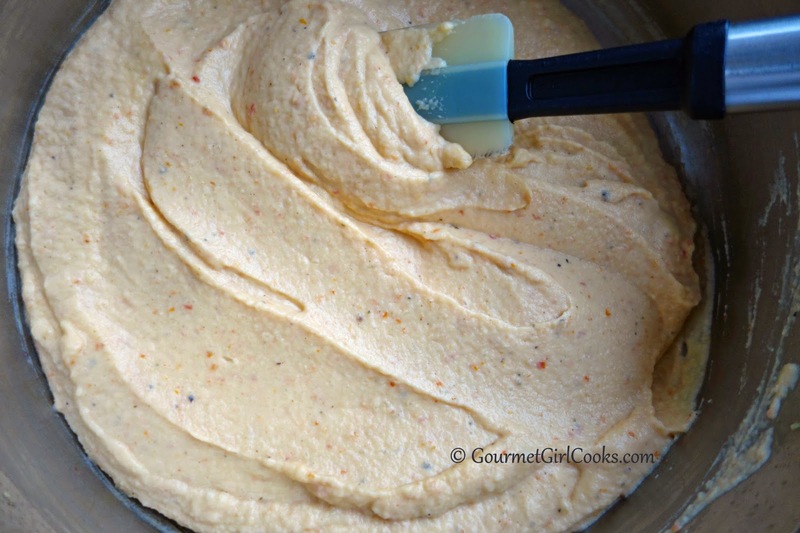 I absolutely love my stick blender for making cauliflower mash. You can puree it in the same pan you cooked it in without having to transfer it to a blender or food processor and then returning to the pan. Less mess and clean up and it makes it easy to cover the pan and keep warm or reheat slightly before serving. This cauliflower mash is absolutely smooth and luscious; you will never miss mashed potatoes after trying it! I snapped a few photos for you to see below. 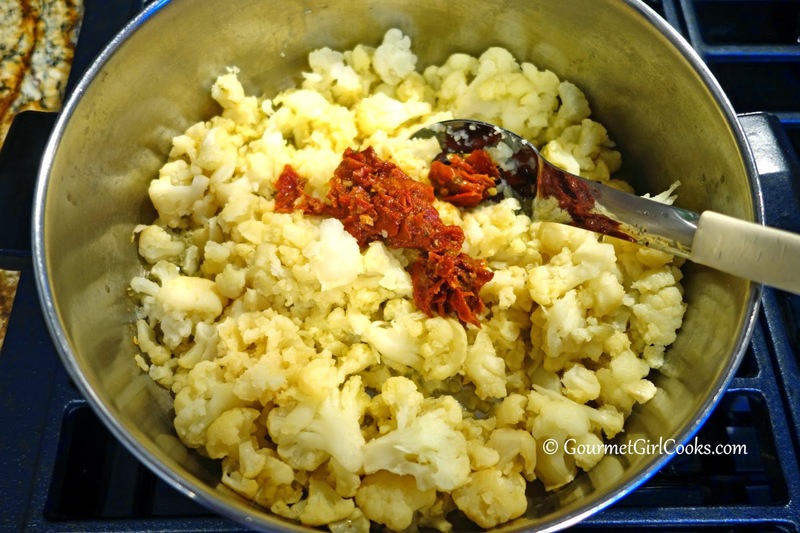 Here's the link to my recipe for: "Rich & Thick Parmesan Cauliflower Mash". The only modification I made to it this evening was the addition of the roasted tomatoes before pureeing. Enjoy! Luscious cauliflower mash cooked in chicken broth and pureed with cream, butter, cream cheese, Parmesan cheese and oven roasted tomatoes -- better than mashed potatoes!